Thinking about investing in Verge? Or maybe you already have some coins but want to know what other people are saying about its potential? What’s the Verge price prediction? Well, lucky enough for you, you’ve come to right place. As I am sure you know, the cryptocurrency market is very volatile, so it is impossible to make a XVG price prediction with complete certainty. However, today I am going to talk about some of the major price swings that have happened in the past and what caused them. After that, I will then explain some of the things that could make its price go up or down. So, by the end of reading this Verge price prediction guide, you should have a better understanding of whether you think Verge is a good investment or not and find out the Verge price prediction 2019 and beyond. Don’t forget though, no cryptocurrency investment is ever 100% safe as nobody truly knows what will happen in the future. Just make sure you never invest more than you can afford to lose and always speak to a financial advisor before making any investment decisions! What are you waiting for? Let’s begin by finding out more about Verge! 4 Verge Price Prediction – Is Verge a Good Investment? 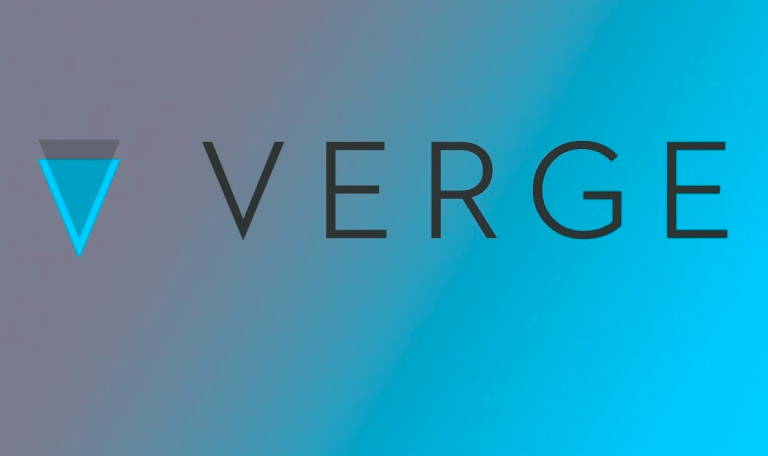 Verge was originally launched in 2014 by a developer called “Sunerok”. When the project first started it was called Dogecoin Dark, but the founders decided to change it as it sounded like a coin associated with crime. Sunerok decided to build Verge because he felt Bitcoin wasn’t anonymous enough, so he designed a blockchain that would allow people to send and receive funds privately. For example, when sending a transaction with Bitcoin, although the public address does not display who owns it, it is possible to find out other information, such as historical transactions and account balances. Instead, Verge hides all of this information, which makes every transaction completely untraceable. One of the ways it is able to do this is by using a combination of TOR and I2P protocols. TOR, which stands for “The Onion Network”, is an anonymous browser that hides the true location of the user by constantly switching servers. The Verge team are also working on a new protocol that will allow people to send and receive funds even more anonymously than they already can. This is called the Wrath Protocol, which will hide every part of the transaction apart from the amount that was sent. In the below example, I am going to show you how this will compare with Bitcoin. Bitcoin wallet address “1K3S9DK” sends “1.43 BTC” to wallet address “1N8S7S8”. Verge wallet address “xxxxxxx” sends “30 XVG” to wallet address “xxxxxxx”. As you can see from the above example, unlike Bitcoin, where you can view the details of who sent and received the funds, the Wrath Protocol will not allow anyone on the blockchain to see this. Cool, huh? The best way to compare this to a real-world example is spending cash in a supermarket. When you hand over your currency, the transaction is complete. Nobody has a record of who made the purchase, which is exactly what Verge are trying to achieve. Not only has Verge been built to be more anonymous that Bitcoin, but it can also perform much better too! For example, Verge can process on average 100 transactions per second, but Bitcoin can only manage 7! The network is much faster too, with Verge able to process a transaction every 30 seconds, but Bitcoin needs 10 minutes! The total supply of Verge coin, which is also called XVG, is going to be 16.5 billion. This is significantly more than Bitcoin, which is limited to just 21 million! So, now that you have a full understanding of what Verge does and what it is trying to achieve, the next section of this Verge price prediction guide is going to look at its previous investment history! When looking at the price history of a coin, it’s always a good idea to start from the very beginning! Unlike most other cryptocurrencies, Verge did not do an Initial Coin Offering to get the project started, nor did it pre-mine any coins. At this point, Verge was called Dogecoin Dark before being re-branded in 2016. Between these two years of trading, nobody really knew about it, which is why its value didn’t really move. Not only this, but there was almost no trading activity at all! During this period, the value of XVG remained at about $0.000005 per coin. Although that this is really low, it is important to remember the huge coin supply of Verge. After the rebrand from Dogecoin Dark to Verge in 2016, XVG quickly increased from its average of $0.000005 per coin to $0.00001. In terms of percentages, this is a rise of 100%, which shows that people thought the rebrand was a good idea. The highest 2016 price of XVG happened in April, where it reached $0.000227 per coin. Throughout the early months of 2017 the value of XVG continued to rise slowly, which was also supported when the Verge team released a new black paper explaining what they planned to do in the future. However, it was late 2017 when the value of Verge went crazy (as did many other cryptocurrencies)! The entire cryptocurrency markets experienced really big gains, with the majority of coins reaching all-time highs that haven’t since been repeated. Note: When analysts talk about a “bull market”, it means that there is a lot of confidence from investors, which normally means the value of a coin goes up. This is because more people are buying than selling. However, a “bear market” is the opposite, which means that investors are not confident about the industry and the value of coins go down. In the first three weeks of December, the price of Verge went from $0.005 all the way up to $0.14, which is an increase of 2,700%! One week later, before dropping down to $0.09, something very controversial happened. John McAfee, the man who invented the really popular anti-virus software McAfee, posted a tweet on Twitter promoting the Verge project. Not only did McAfee say that Verge was a really good coin to invest in, but he also made of Verge price prediction of $15! 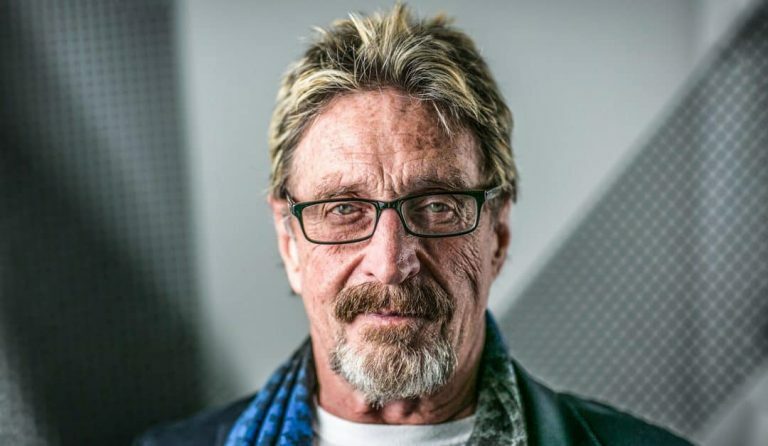 He has since stated that he actually meant $0.15, however, McAfee is known for making crazy predictions, such as predicting the price of one Bitcoin will reach $1 million per coin before 2020! Soon after the McAfee Verge coin predictions tweet was released, the price of XVG quickly increased in value, reaching heights of $0.28! At the time, this amounted to a total market capitalization of almost $4 billion! However, it has since been revealed that John McAfee charges more than $100,000 for every single tweet he posts promoting a coin (which is very unethical)! Some people actually think this is illegal, as he is using his fame to manipulate the price of a coin. After the record heights of late 2017, the price of XVG has since lost value. In the next part of this Verge price prediction, we will look at what the future holds for 2019 and beyond. Although still volatile, the price of Verge continued to decline until mid-March, where it hit lows of $0.02. This is a decrease of almost 92% from its record high of $0.28. This means if you bought $1000 worth of XVG in late December, your investment would now be worth only $80. This shows how volatile the cryptocurrency market can be, which is another reason why you should never invest more than you can afford to lose. The Verge team are known to spread misleading information about new developments and partnerships, which often leads to speculation. For example, in March 2018, Verge tweeted that a “Mystery Partnership” was going to be announced on March 26th, 2018, however, this was later postponed. This caused the price of Verge to rise quickly, reaching 2018 heights of $0.11! Further good news was recently announced regarding a partnership with TokenPay and a German bank. According to the publication, TokenPay have signed a deal that will allow people to spend their Verge coins on a pre-paid debit card. This could be really important for the ongoing value of XVG, as it will have a real-world usage, making it more valuable. Verge has a lot of competition from other coins offering anonymity, such as Monero and ZCash. This means that if either of those performs well, it could negatively affect the price of XVG. However, the Verge team are developing a new protocol for their blockchain, which they call Rootstock. 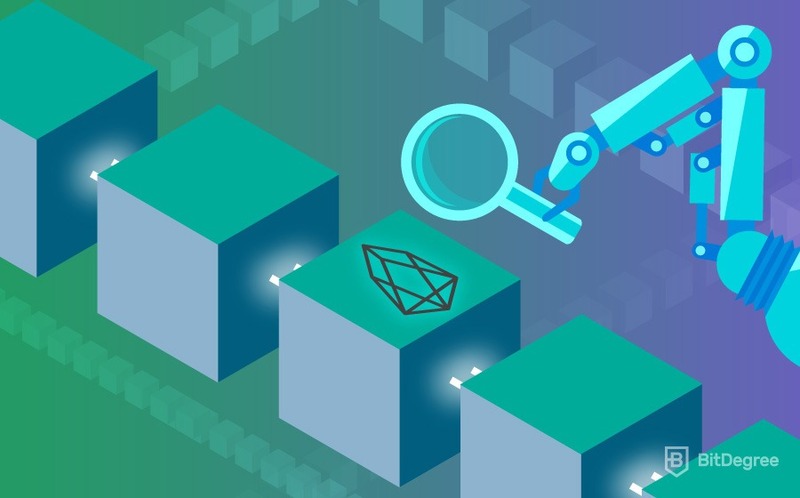 Once this has been implemented, it will allow the blockchain to facilitate smart contract technology. This is something that none of their privacy competitors can do, so keep an eye out for this. If news does surface about a successful release of Rootstock in 2018, the price of Verge could increase. So, now that you know how Verge has performed so far and what things to look out for, the next part of this Verge price prediction guide is going to look at whether the coin is a good or bad investment. Verge Price Prediction – Is Verge a Good Investment? Before I continue my Verge coin predictions guide, I just wanted to remind you that all of the views that I have expressed are my own opinion. There is no guarantee that any of it will come true, so please remember to do your own research before you make an investment. Overall, I am somewhere in the middle with Verge, as I think it has both good points and bad points. Firstly, the strong growth of privacy coins in general has been really impressive, with the likes of Monero, ZCash, Dash and Verge now very popular with the cryptocurrency community. In the original Bitcoin white paper, the creator spoke about it being an anonymous cryptocurrency, however, Verge is much more private. As I mentioned earlier, Verge is also much faster and more scalable than Bitcoin. It is also much cheaper to send a transaction too. These characteristics make Verge more suitable that Bitcoin as a global payments system. 2019 could be an interesting year for the price of Verge for two reasons. Firstly, the partnership they have formed with TokenPay could increase demand for XVG, as TokenPay claim they are going to release a debit that can be funded with Verge. Although it is unclear whether the card will be issued by Visa or MasterCard, the card will allow people from anywhere in the world to spend their Verge coins easily. This will create extra demand for XVG, which of course will increase its value. The second reason I think Verge could be a good investment and the Verge price prediction could be positive is that they could become the first privacy coin to facilitate smart contract technology. Although the team have been working on their Rootstock protocol for some time now, it could boost the price of XVG if it is released successfully. However, there are also some reasons that make me think Verge is bad investment. The first being the fact that the founder of Verge still decides to remain anonymous. Not only is there no public face for commercial deals to be made, but if anything went wrong with the project then there would be no accountability. Would you invest in a real-world company if the owner was anonymous? I also feel uncomfortable about how speculative the coin seems to be. I know that the entire cryptocurrency industry is volatile, but every time there is a new announcement, the price seems to increase really quickly, only to fall back down. As I have seen many times before, the Verge team like to promise developments, but then seem to let investors down. It is also worrying that the Verge team paid John McAfee a large fee to promote their coin. This is like the Facebook owner paying a news channel to say they are a really good company to invest in. To me, it seems a bit unethical, especially if the suspected fee of $105,000 is true. So that’s the end of my Verge price prediction guide! I hope you enjoyed it and that you are now able to make a decision on its long-term potential. If you read my guide all the way through, you should have a good understanding of what Verge is and how the technology works. You should also have a good idea of what kind of events make the price of XVG go up or down. As you now know, if you bought Verge when it was first launched in 2014 and sold it in late 2017, you would now be incredibly wealthy! So, what do you think? 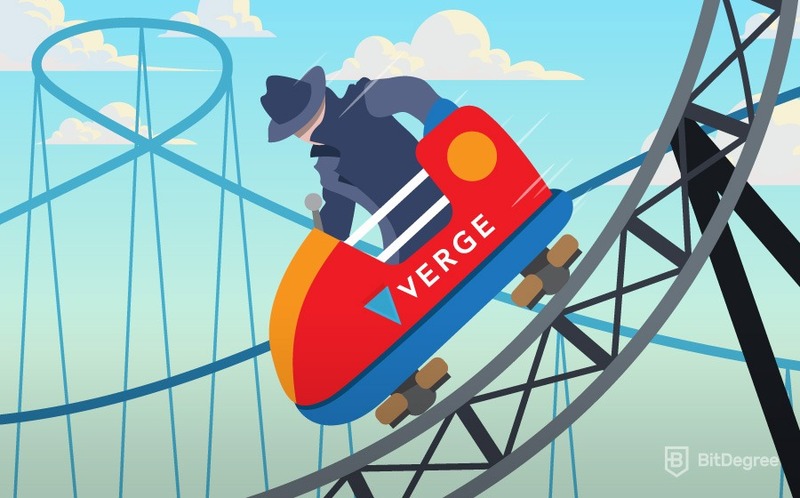 Is Verge a buy, sell or hold? I personally think that this is a difficult decision to make. I am going to wait and see what happens with the German bank deal first, as well as the development of its Rootstock protocol. However, I would love to hear your thoughts! What is your XVG price prediction 2019? Monero Price Prediction: What’s the Future of Monero?